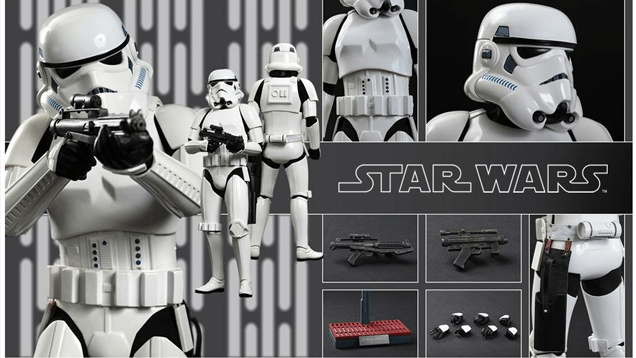 This week we feature one of the coolest collectible items I’ve seen in a while, a Target exclusive Black Series set, some incredible collectibles from Hot Toys and…where are the Rebels??? 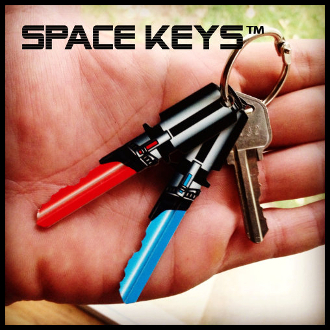 Maybe I’m just a sucker for things like this but when I saw these “space keys,” my jaw dropped. Full disclosure, these do not seem to be officially licensed products and are actually labeled “Space Keys”. But we all know what the deal is. Made by Rockin’ Keys, there are four colors to choose from – purple, green, blue and red. 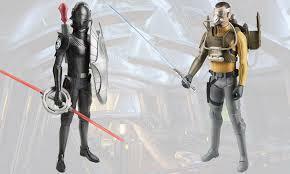 They come in sets of two (green/purple and red/blue) and I’m about to put in my Vader/Obi-Wan order now! Last month I wrote about the Target Exclusive Shadow Troopers. The official “street date” for this fantastic set is November 1st, but collectors have been able to get their Targets to pull the sets from the back over the last few weeks. If you live on the East Coast, they should be readily available at most Targets. If you live on the West Coast, they JUST started popping up on Target computers over the last few days. These will be rolled out as part of the holiday reset and will have a specific end-cap for this set. They will not be in the standard Star Wars toy aisle. But who needs to wait for that? Call your local Target, give them the DPCI number and ask them to pull it from the back and hold it for you. The DPCI for this set is: 087-06-1202. WARNING – Like the standard Bike Scout, it seems the Shadow Scout in this set suffers from some deformities. My Target had 3 and 2 of them had Scouts with bent visors. I grabbed this set 2 nights ago and the 2 figures are easily among my very favorite Black Series figures. I know they’re just repaints, but they look awesome. The packaging is great too. I’m typically an opener but I think I’ll leave this set in the box. 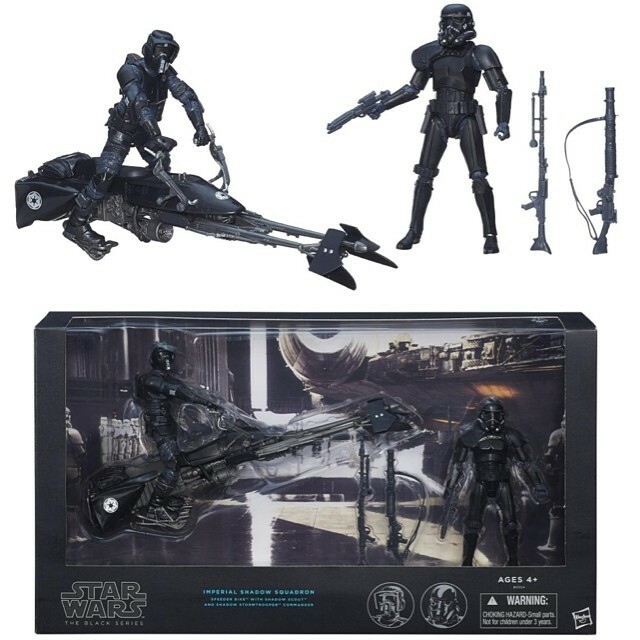 Speaking of Black Series, KMart.com is running a sale on several Black Series figures. You can grab Jabba or the regular Speeder Bike for $31.99 with free shipping. Thanks to YakFace for the heads up! Hot Toys, widely considered one of the very best high-end collectibles companies has entered the GFFA with a bang. 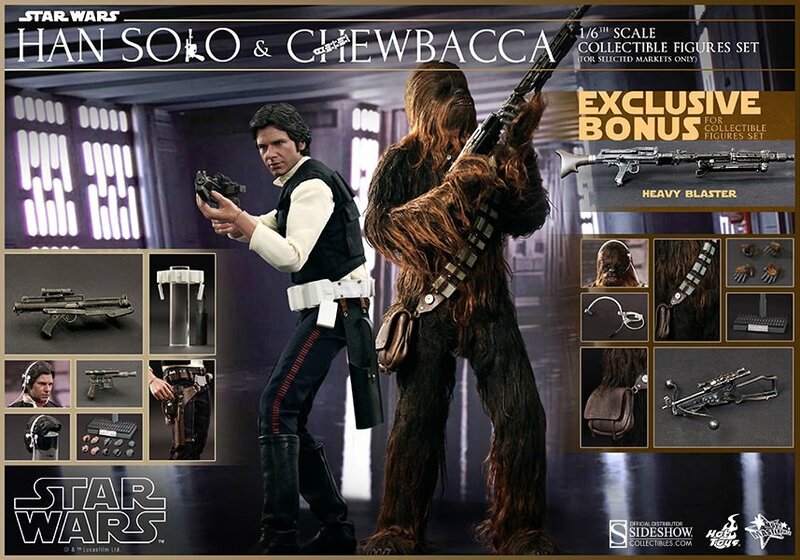 First they released images of their Han Solo and Chewbacca set which looks awesome. It seems many collectors love the Chewie figure but have some reservations about Han’s likeness. They both look fantastic to me. You can pre-order the set now at Sideshow. Not one to rest on their laurels, Hot Toys just released images of their brand new Stormtrooper, which io9 is calling “the most beautiful Stormtrooper ever made”. I have to say that both sets look amazing to me. I’m not a high-end collectibles guy but I would imagine all 3 would be the envy of many collectors. Where are the Rebels Toys? If you are in the US, this is the question many have been asking. Star Wars Rebels has been pushed hard by Disney, has promotions with Subway and has been on the air for several weeks now. And anyone who knows and loves Star Wars knows that with new Star Wars content often comes new Star Wars TOYS. So…where are they? If you’ve been to your local big box store, you’ve likely seen Rebels Lego, Rebels merchandise and Rebels clothing. But with the rare exception of the admittedly cool Mission Series set featuring Hologram Obi-Wan, you probably haven’t seen any actual Rebels action figures (according to JediNews, if you’re in the UK these figures are showing up at retail stores). So what’s the deal? Well…nobody knows. Apparently Hasbro wasn’t even aware that these toys hadn’t hit shelves yet. Jedi Temple Archives recently reported that online sales have seemingly been pushed until late November after an initial ship date of October 23rd. This is not good. Not good for Disney, not good for Star Wars, not good for the Rebels show, and most importantly, not good for us! We’ll keep you updated as things progress, but for now, SithLord229 has reported that 12″ Rebels figures have been spotted in the US. So…I guess there’s that.